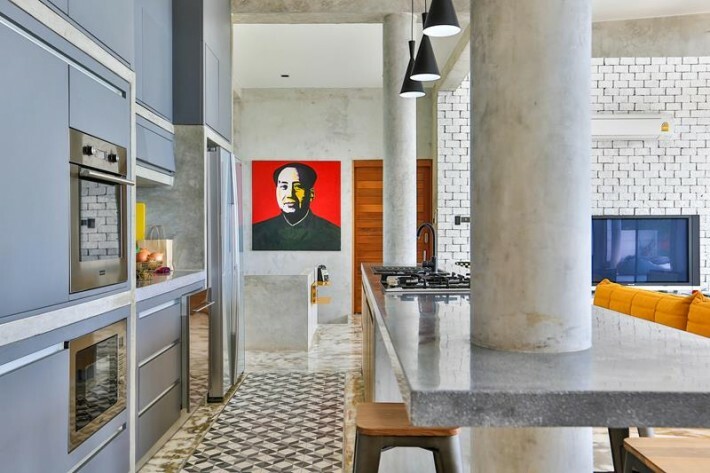 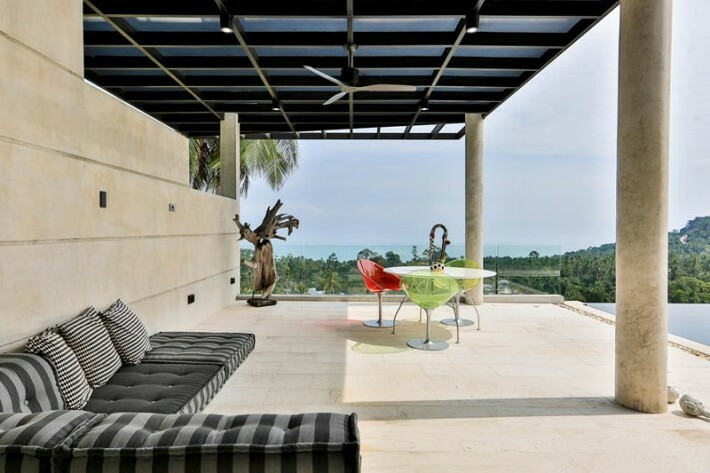 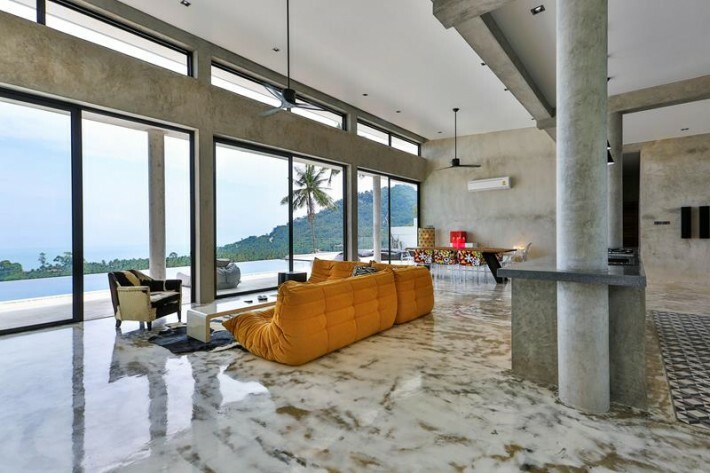 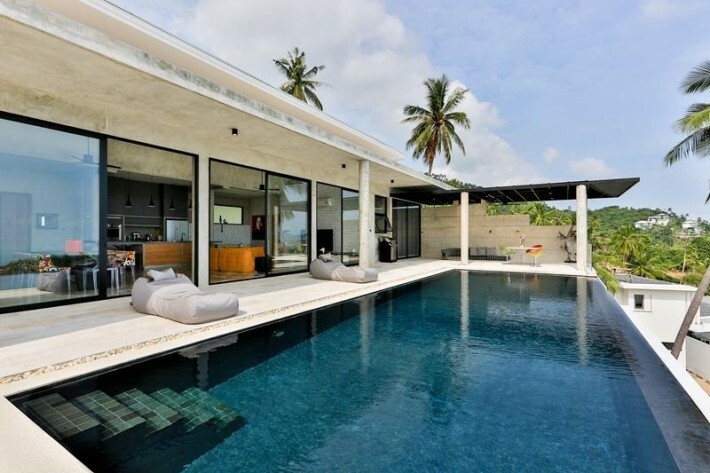 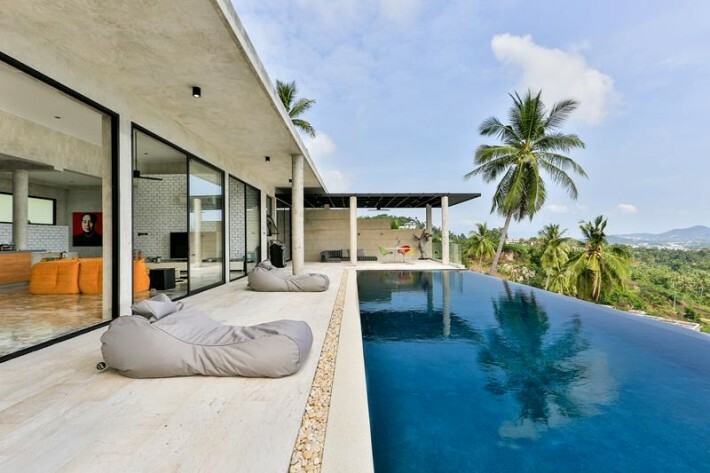 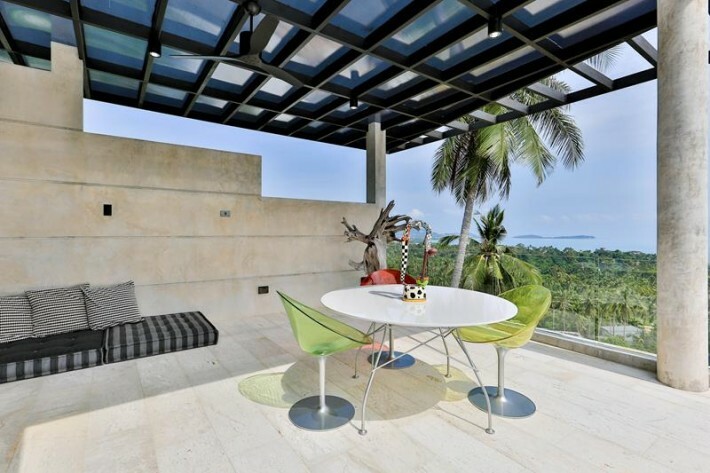 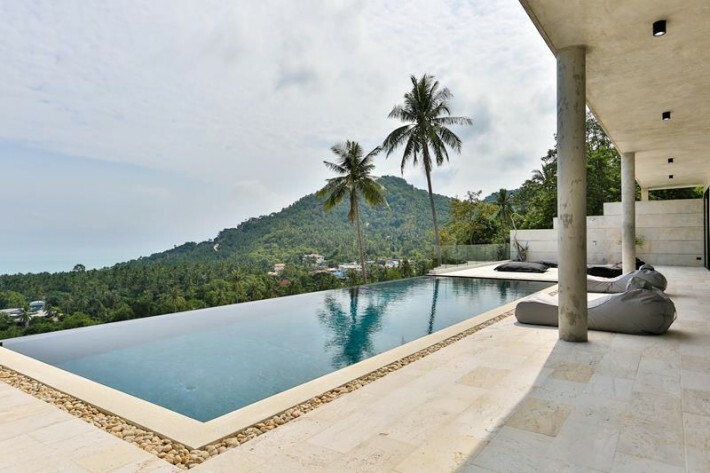 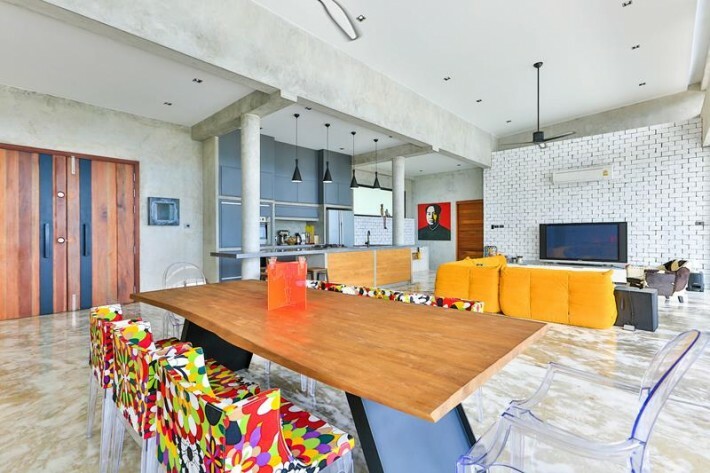 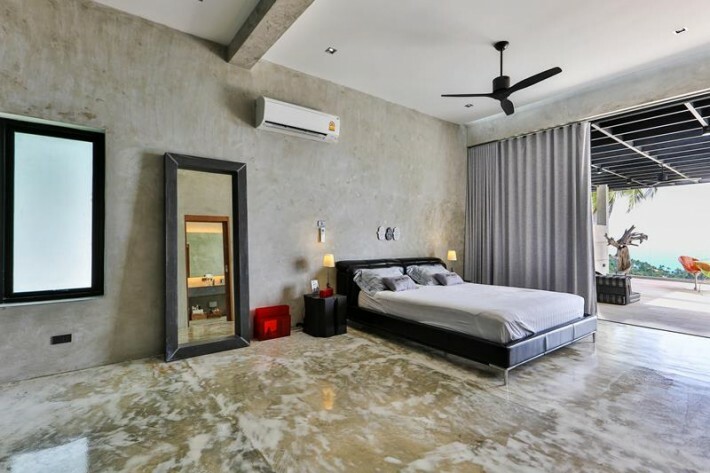 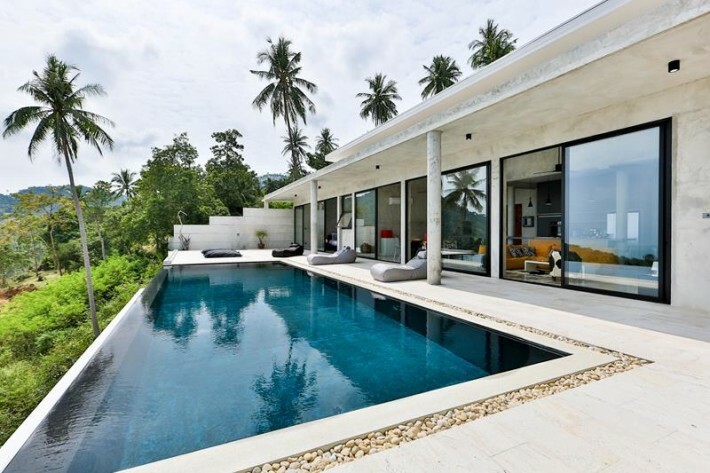 Nestled on a gentle hillside with amazing sea views to the North East, this contemporary and stylish Koh Samui villa for sale resides in a quiet yet popular Chaweng Noi development, a sought after area. 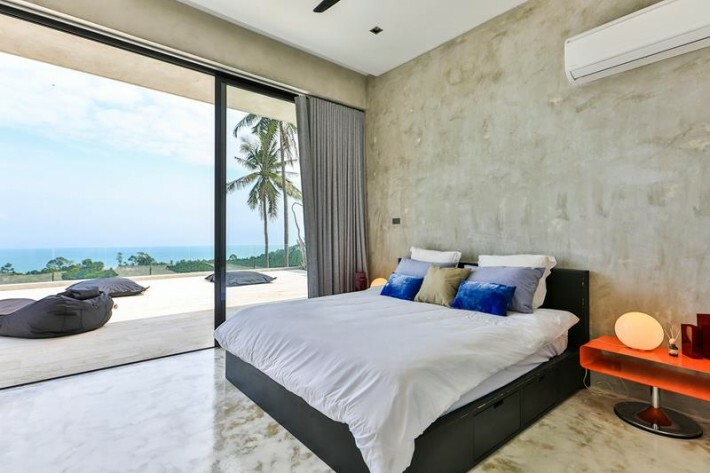 Ideally situated for the beaches of Chaweng and Lamai as well as all activities Samui has to offer this spacious property is not far from the ring road and has easy access to all amenities. 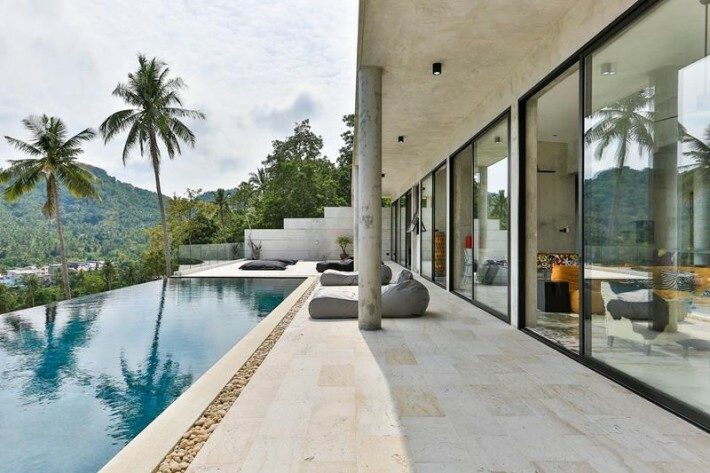 This exceptional Koh Samui property for sale, this villa is built on a single level and comprises of a spacious open plan living and dining area along with a fully equipped kitchen and centrally placed kitchen island. 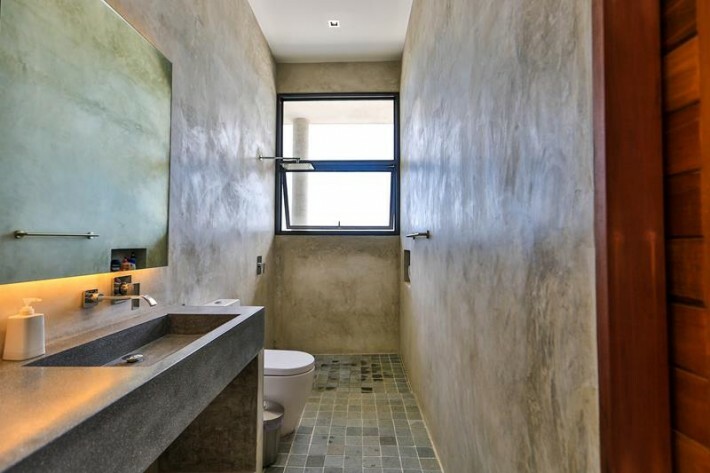 To the rear is a guest wc, ample storage room and laundry area. 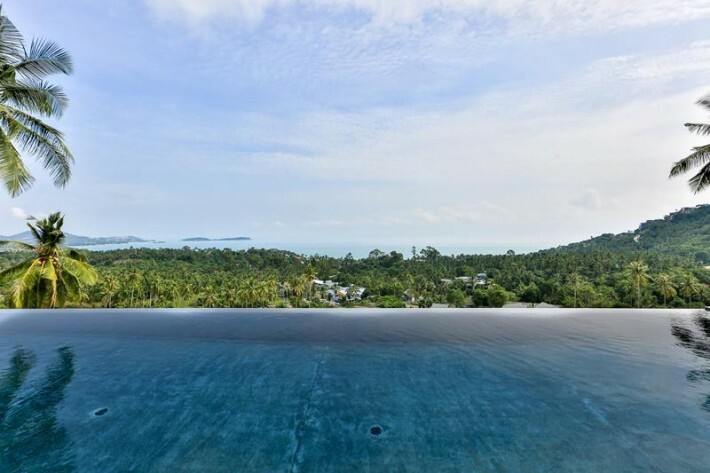 The main living area opens onto the 230 sqm terrace with enticing infinity edge swimming pool and captivating panoramic views to the sea. 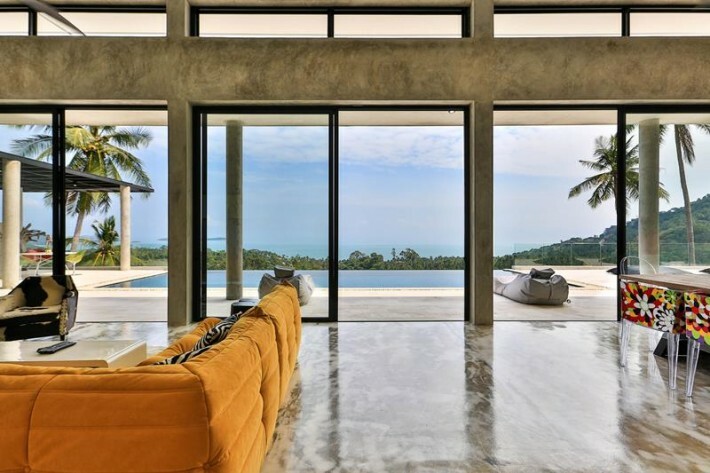 To the pool side is a large sala the perfect spot to relax in the shade and savour a glass of wine or just take in breathtaking views. 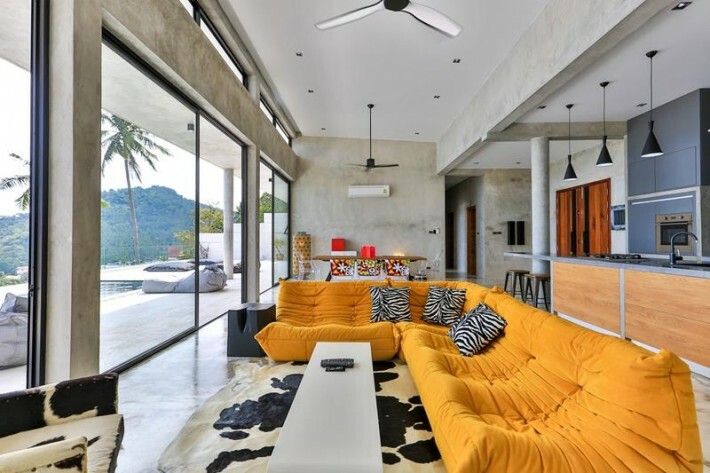 To the right of the living area is a generously sized master bedroom with ensuite bathroom and large built in wardrobes. 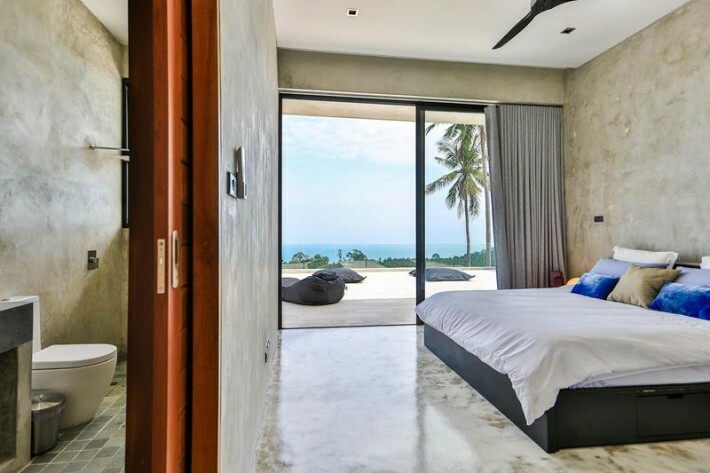 Two further bedrooms occupy the left wing of the villa and both feature ensuite bathrooms. 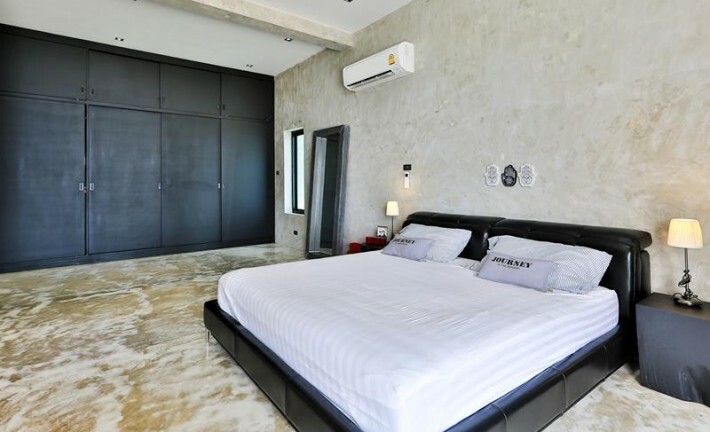 All bedrooms open onto the terrace and have direct access to the swimming pool. 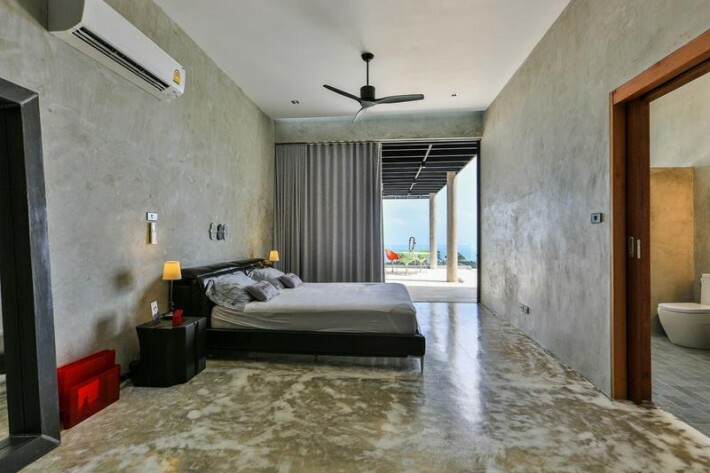 Floor to ceiling windows and sliding glass patio doors are fitted throughout the villa to maximise the amount of light and cooling breezes, furnished in a minimalistic style and emits freshness and youthfulness. 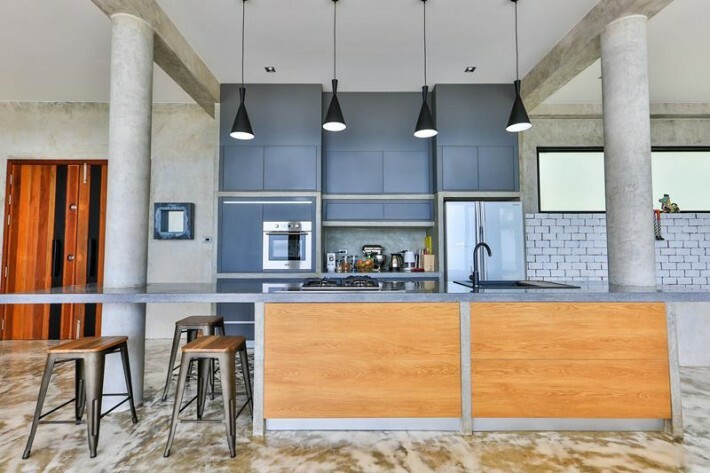 In the basement you will find another large storage area and technical/utility room. 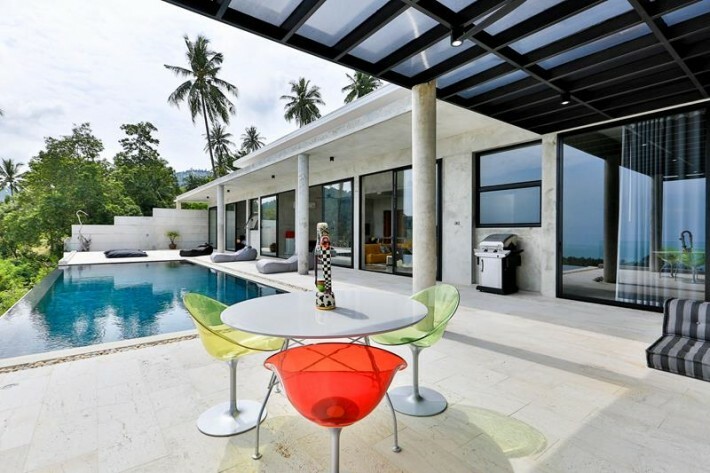 The villa is offered for sale unfurnished, but there is an option to purchase current furniture and decorations at additional price. 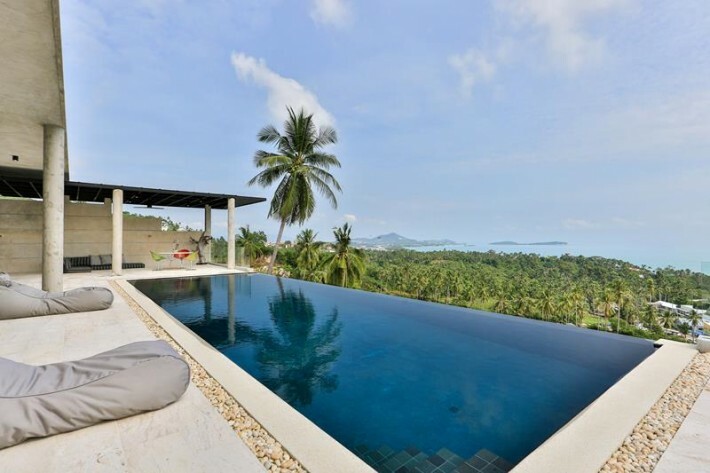 Close to all amenities including the Bangkok Samui International Hospital, Central Shopping Mall, International Schools, restaurants and beaches, this villa makes a perfect permanent home and/or holiday home/rental investment.